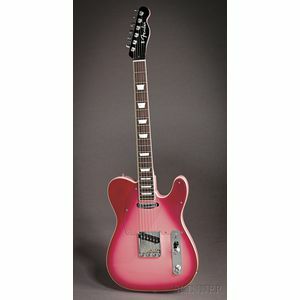 American Guitar, Fender Custom Shop, Corona, 2008, Model Telecaster, by John Cruz, serial number JC 980, signed on the back of the headstock, expressly for the Pinkburst Project, with Pinkburst Project TKL custom case. 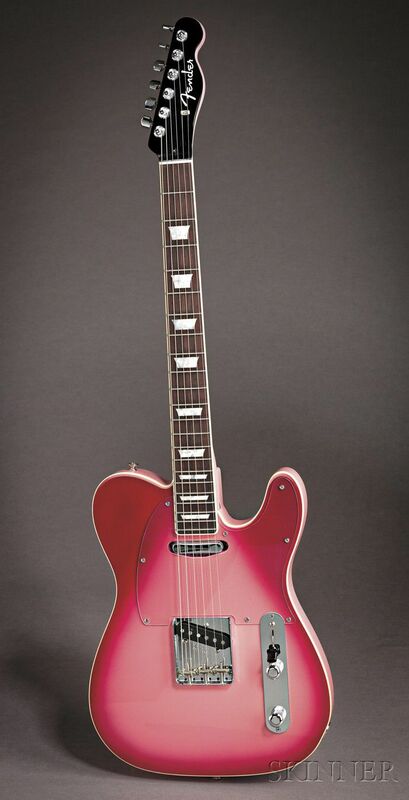 "The third guitar made in the series. It was the first attempt at having another company, in this case Fender, try to invoke certain qualities of the Gibson Les Paul on a Fender. This had never been done before. 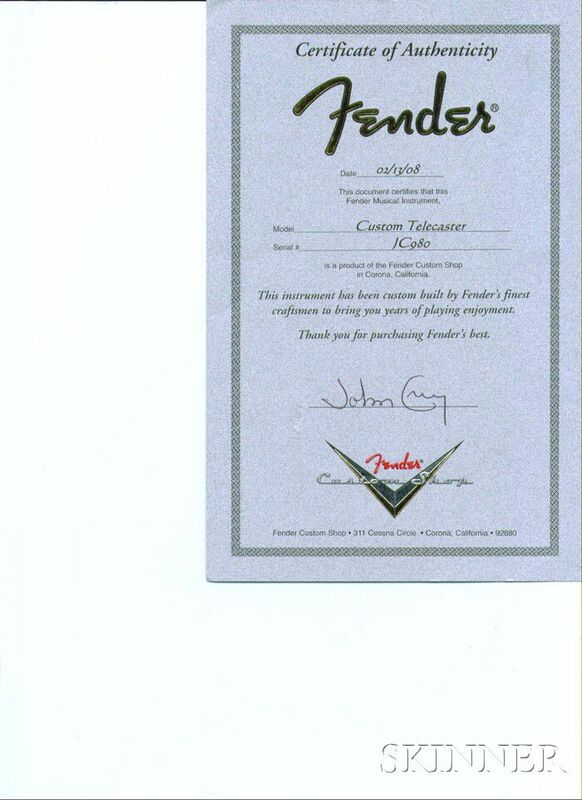 Fender Master builder John Cruz accepted the challenge. The color had to match. There had to be cream colored binding on a rosewood fingerboard and around the body as well. The neck had to feel thicker, like a Gibson, The name of the company had to be in pearl inlay on a black headstock and finally, the neck had to have trapezoid inlays, just like the Les Paul. " "I remember this guitar sounding incredible and really did not want to see it leave my hands. Jay Jay received the guitar and was very excited about the whole vibe. He started showing it to other musicians and manufacturers, who were blown away and really wanted to be involved"
John Cruz, Master Builder, Fender Custom Shop. The neck pick up is a "Twisted Tele"
The bridge pick up is a "Broadcaster Model"